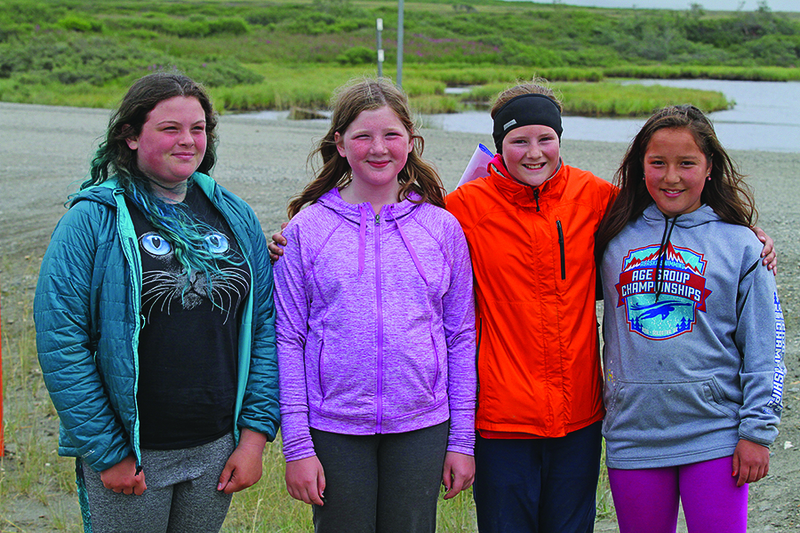 Anchorage visitor Cole Talbot came for a weekend trip to Nome to visit friends and do some birding. 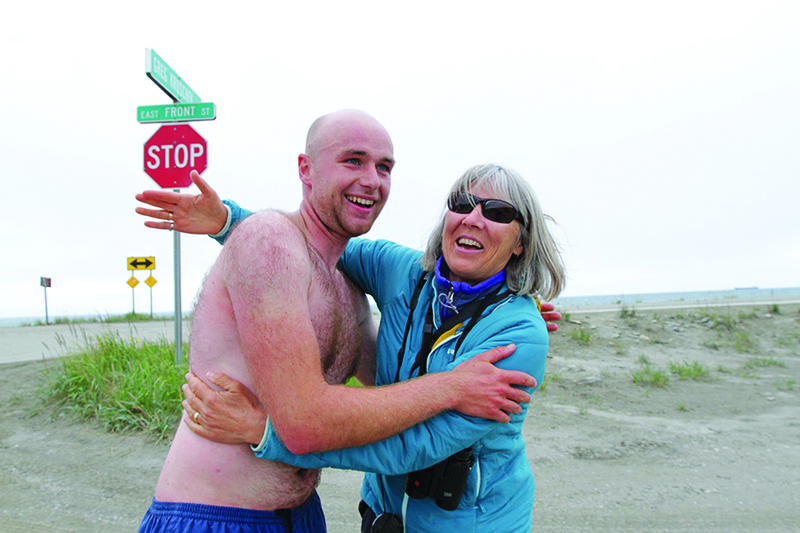 While he was at it, he also notched his first ever marathon finish and emerged victorious, too. 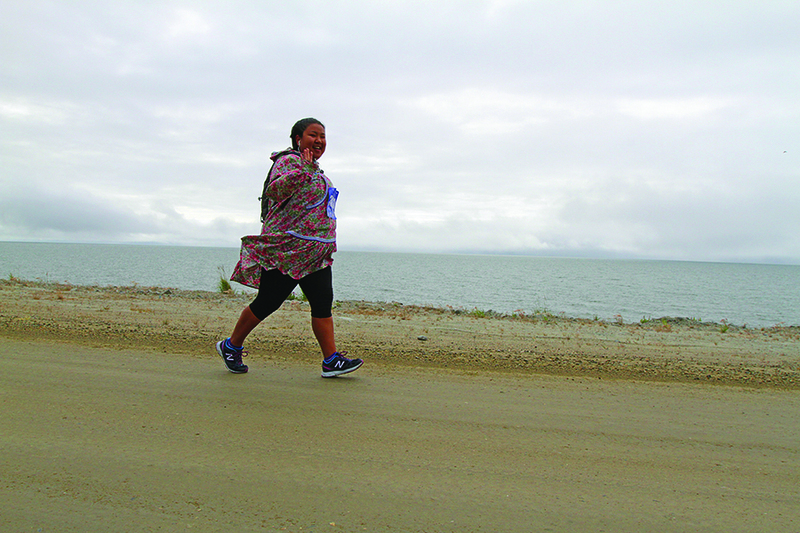 Talbot won the fifth Cape Nome full marathon in a time of three hours, one minute and 45 seconds. 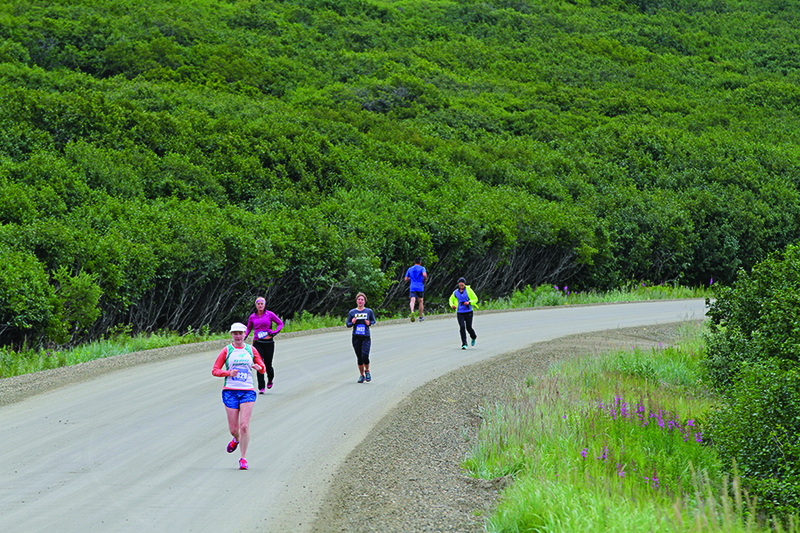 Cloudy skies and a mean temperature of 52°F with occasional mist and a slight ocean breeze made conditions near perfect for the three full marathon runners, 13 half-marathoners and eight bike participants. 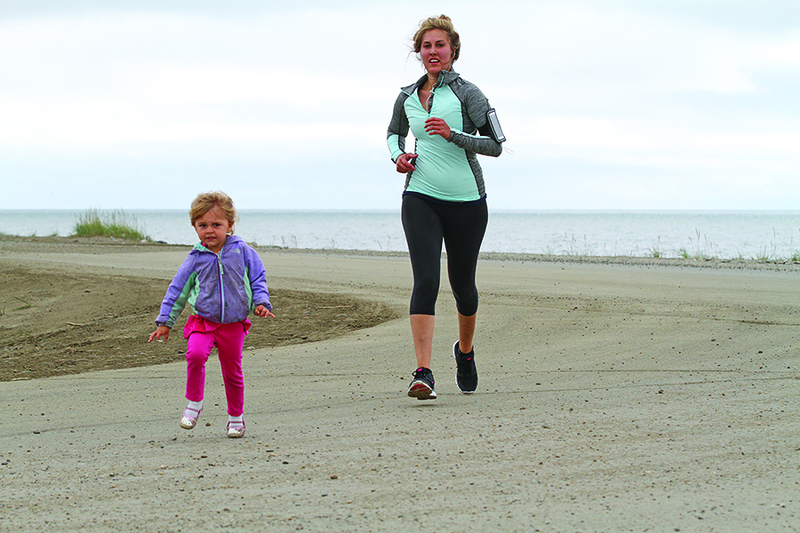 The full marathon and bike portion of the race began on Saturday at East End Park at 10:30 a.m.. 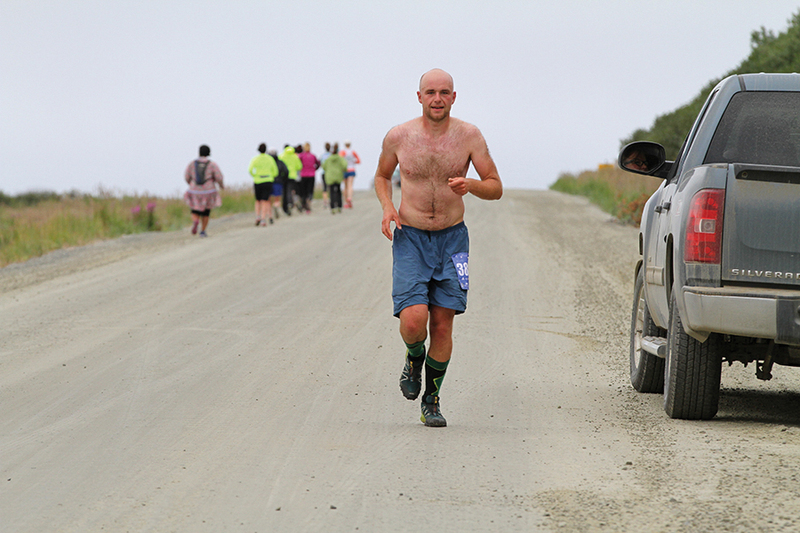 The course followed the Nome-Council Highway until mile 13.1 just east of the Cape Nome rock quarry. 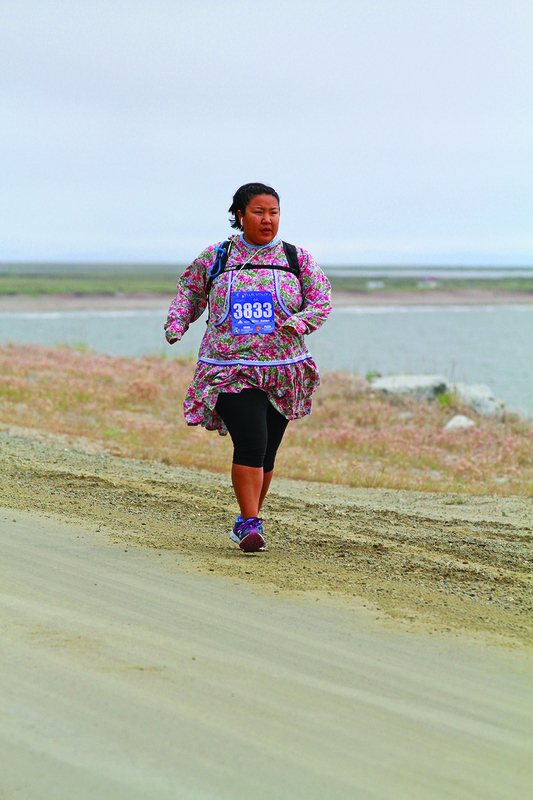 There, the half-marathoners started their portion of the run at noon and joined the marathoners and bikers on the way back to Nome’s East End Park to the finish line. 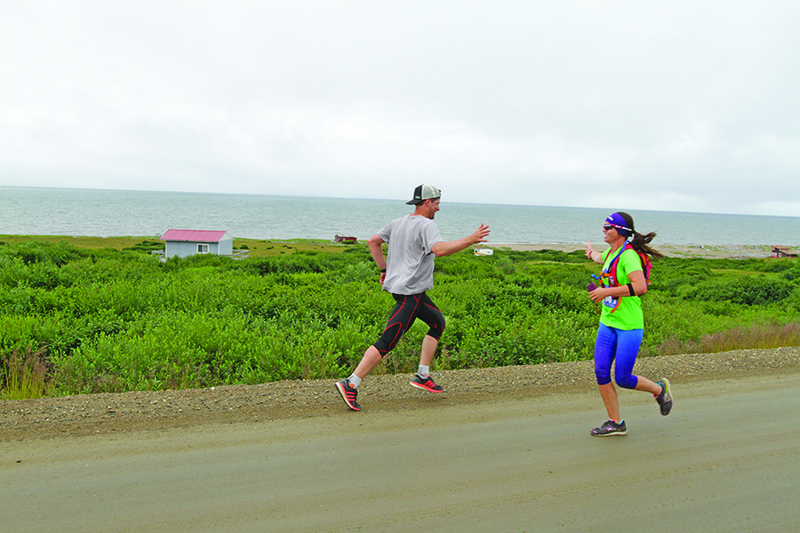 A few minutes after the half-marathoners started, marathon front runner Cole Talbot reached the mid-way checkpoint and took just enough of a break to drink some water and load up on some runner’s gel. Off he went to catch up with the half-marathoners. 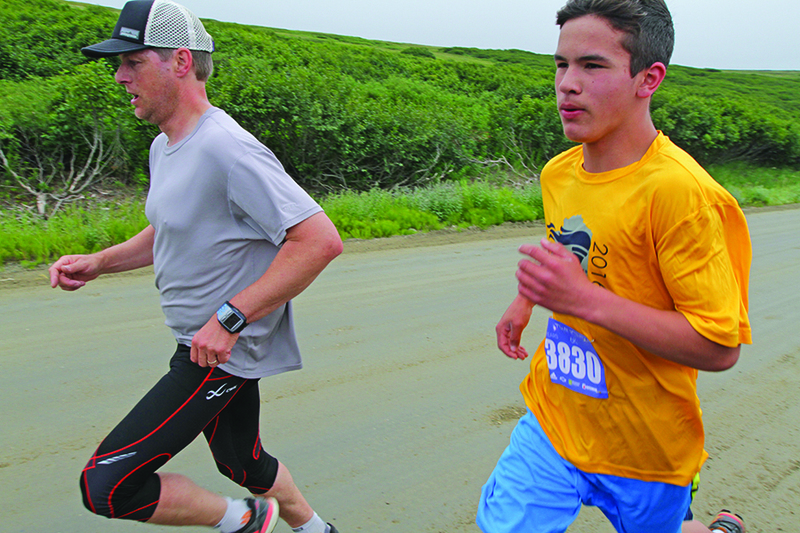 For most of the way back, Talbot ran in a tight race with eventual half-marathon winner Aaron Rose, with Nils Hahn following within a mile’s reach. 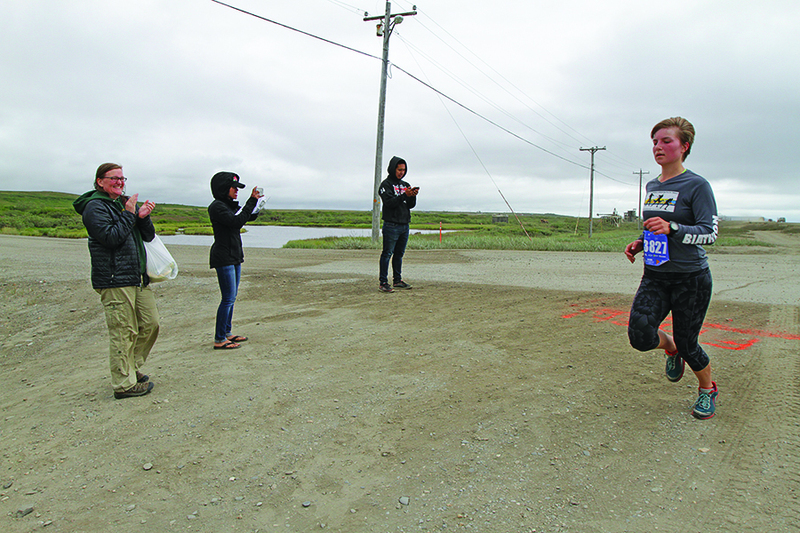 Marathon runners Tyler Johnson and Riley Bennett-Vockner, finished second and third, respectively. 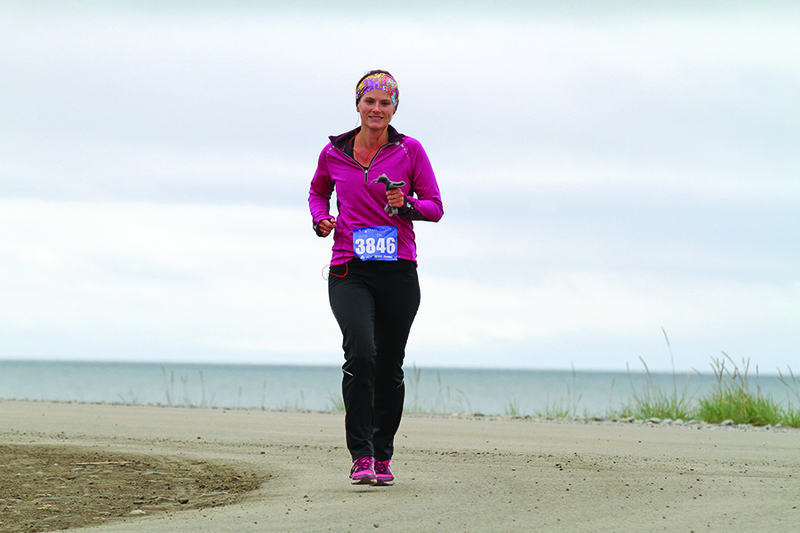 Johnson clocked a time of four hours, nine minutes and 32 seconds; Bennett-Vockner finished as first (and only) woman in a time of four hours, 40 minutes and 13 seconds. 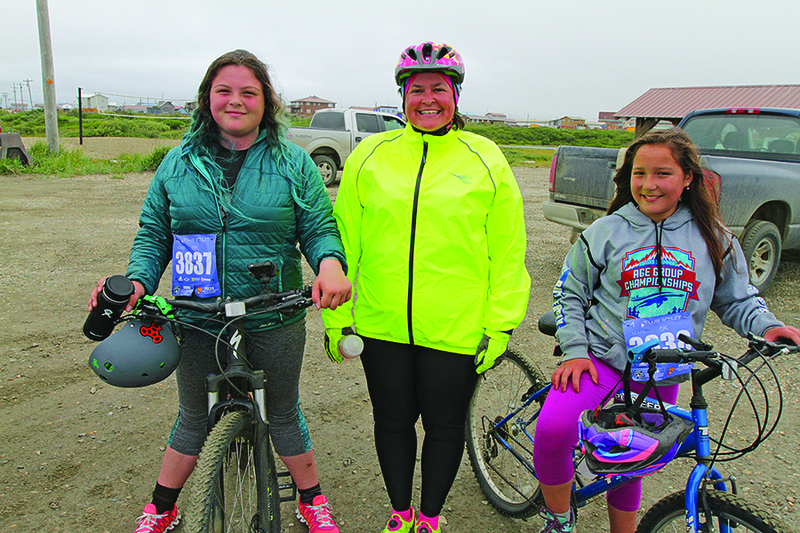 The first biker to cross the finish line was Jackie Hrabok-Leppärjärvi, followed by Deb Trowbridge and siblings Hudson and Tate Coggins, who tied for third place. 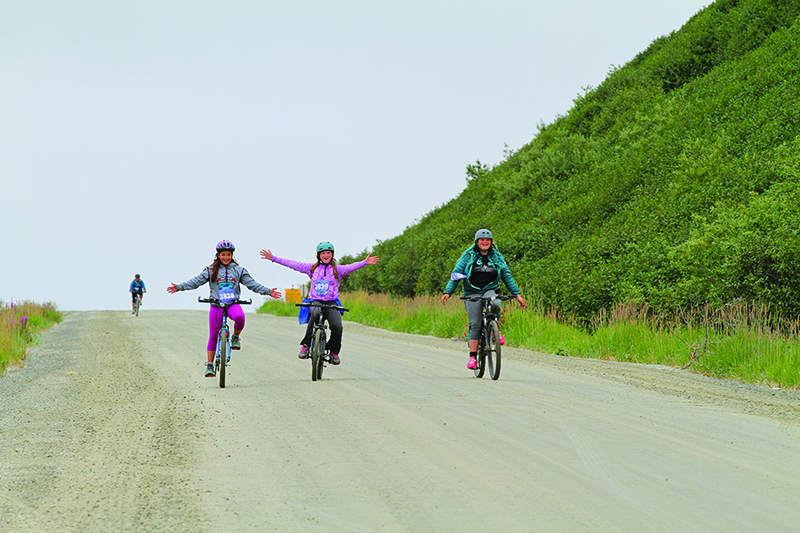 A group of 12-year old bikers stayed in between the three front runners and the rest of the runners. Friends and relatives cheered on the runners on the way. 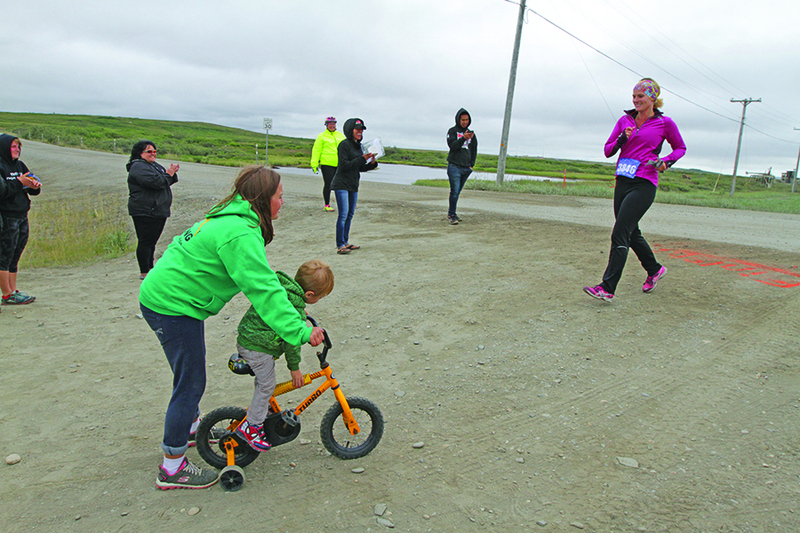 A squad of toddler-aged cheerleaders joined runner Misty Reader for a short segment of the run.